As many of my readers know, I am a huge fan of sherry. Not the typical sherry your grandmother sips on Christmas Day. I’m talking about the dry, nutty and aged sherries that have recently gained renewed popularity in the bars and restaurants of London. It seems that more and more people are appreciating the nuances of sherry and I’m always happy to see new sherry bars in town. 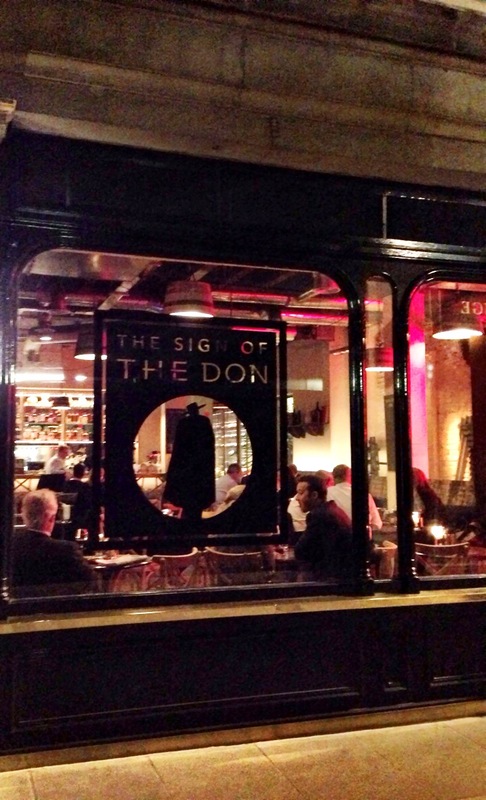 I attended a sherry masterclass at the recently opened The Sign of the Don in the City a few weeks ago. Located within throwing distance of the old Stock Exchange in the City, St Swithins Lane isn’t hard to find and there you will see the shadow of the famous Don of Sandemans Port and Sherry etched onto a sign hanging over the door of the bar. TSOTD is the little brother of the long established restaurant, The Don next door. TSOTD also has a full restaurant but the main aim is to be a sherry bar. I liked it so much that I returned the next night with a friend for more tapas and dinner. The building has been part of the Sandeman family for generations and the cellar is unique in that it has been there from the beginning, over 200 years ago, it was being used as a sherry cellar. The cellar used to reach all the way to the Thames but nowadays there is only 30 metres left. 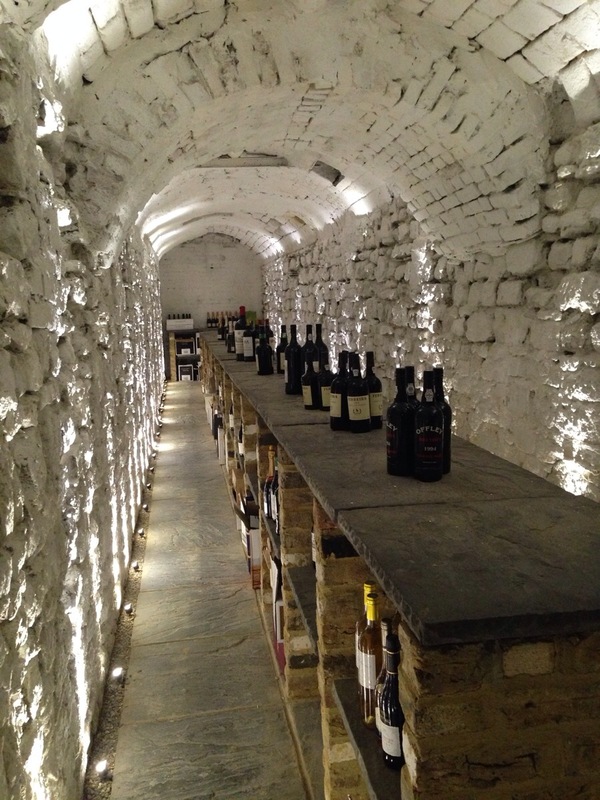 Luckily, the cellar has been preserved and is now used by TSOTD for their wine cellaring. But back to the sherry masterclass. Led by the 5th generation of La Gitana, Javier Hidalgo, we were in for a treat. Starting off with the classic Manzanilla La Gitana NV, Javier told us that this was the first sherry to be included in the Wine Spectator’s best Fino of the year. A light and fine sherry, at £10 a bottle, it’s a bargain. 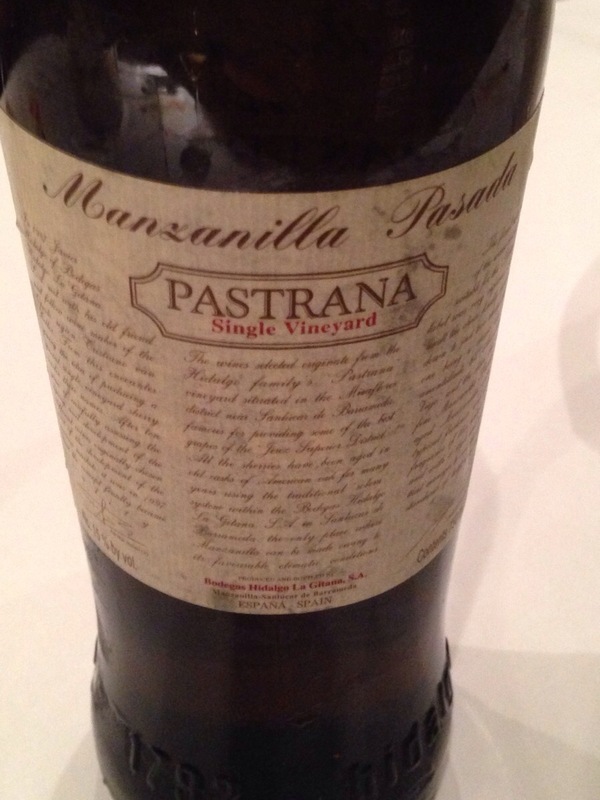 One of my favourites of the evening was the Manzanilla Pasada Pastrana NV. This sherry has always been a favourite of the family and the grapes come from 250 year old vineyard. It’s a rarity in that it’s comes from a single vineyard and that it’s also an aged Manzanilla. It had a richer and fuller mouth feel then the regular manzanilla and is a more complex wine. 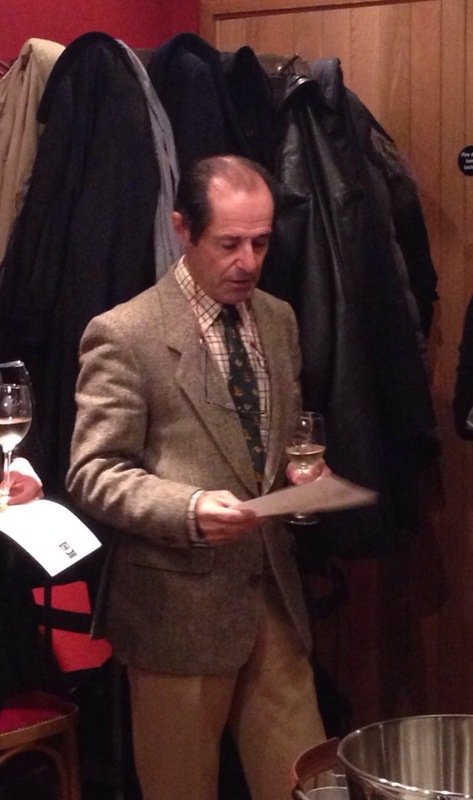 Javier told us that this was the style of sherry that his grandfather used to drink. Two other standouts of the evening were the Palo Cortado Wellington VOS 20 yrs old and the Oloroso Faraon VORS 30 years old. 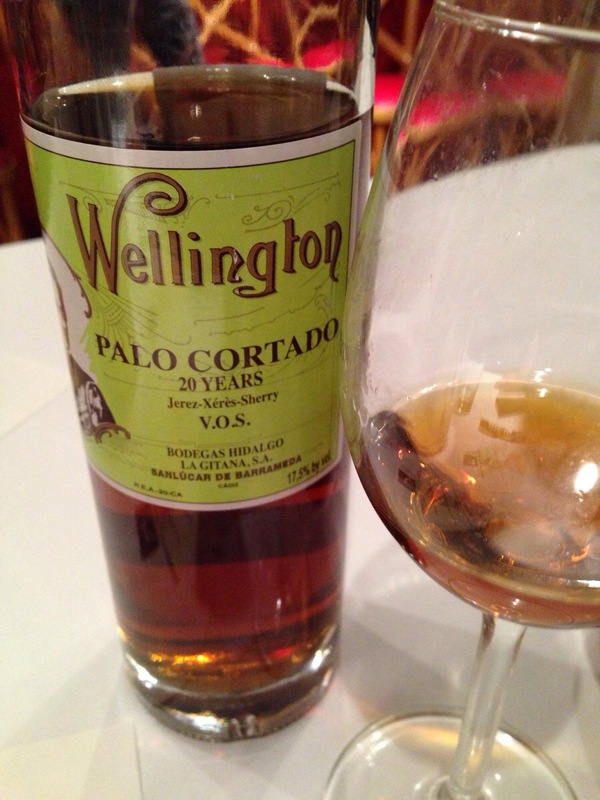 Despite being 20 years old, the Wellington had a sweet nose but was very fresh with a long citric finish. I really enjoyed it. 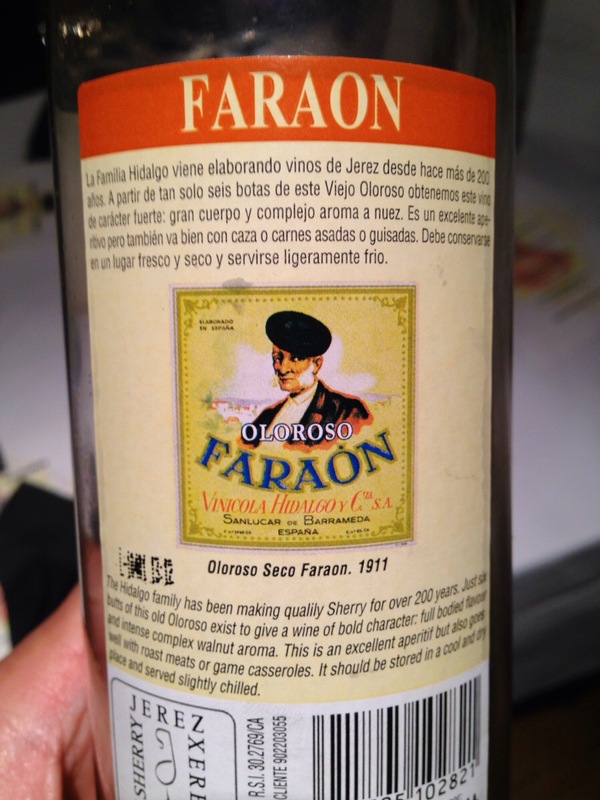 The Faraon is unusual in that it never develops the typical ‘flor’ of sherry but is and aged and oxidized wine. Bottled unfiltered, it is rich and complex. This year, treat your gran to some proper sherry on Christmas Day.